Monsterz is such an ADORABLE collection to work with. 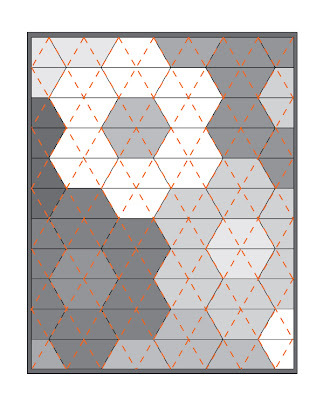 It will arrive in January and I wholeheartedly suggest you make this quilt in the patterns I indicate because it will make you SMILE. But, this pattern is actually quite nice and it went together pretty quickly- so if you’re looking for a fast project as a holiday gift, this might be your perfect option. This quilt measures 34 x44 finished. 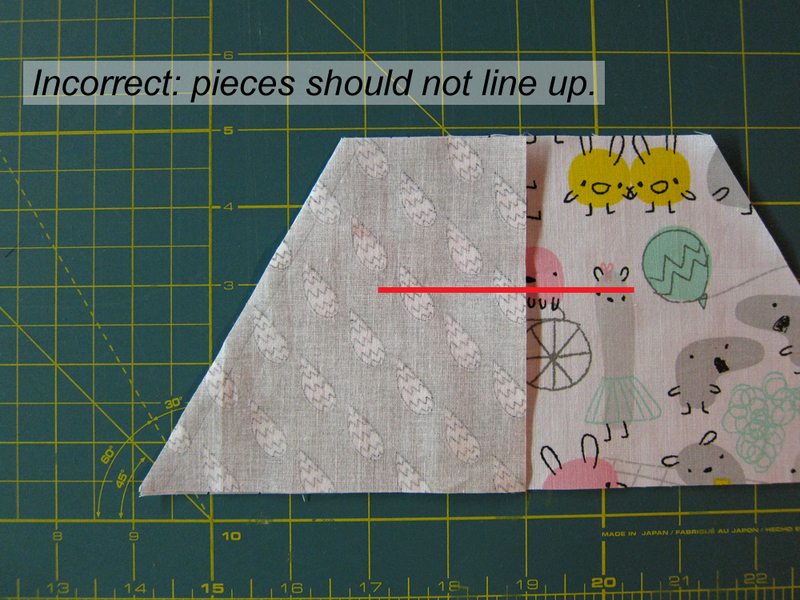 I used a 2.5″ wide strip for my binding as I wanted something substantial to frame the quilt. For the backing on this project I used Adventurez, which is a border print- and it just fits. 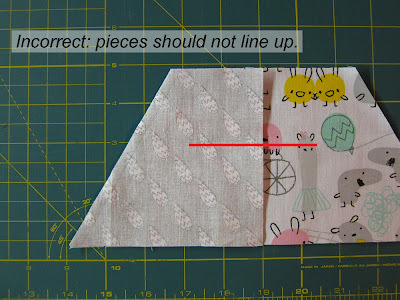 I cut my half-hexies using my cutting mat which had nice guidelines on it. Made it very simple. But if you don’t have one, print out this template for the half-hexi. 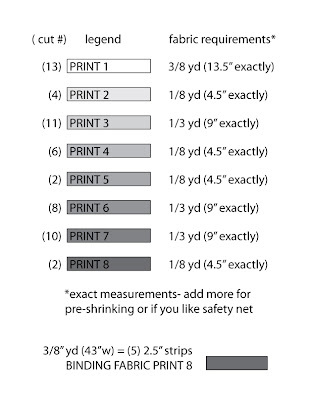 If cutting on a mat, note the dimensions below. 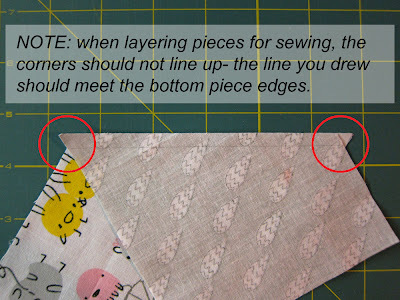 Below is an example of how you should cut the half-hexies out on the fabric. 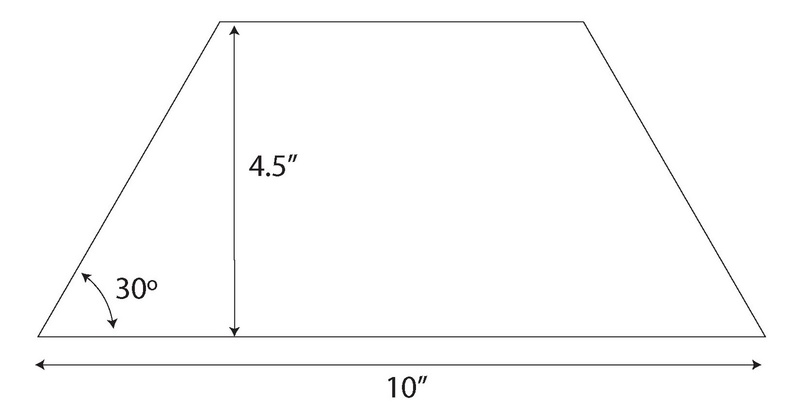 You should get 6 across on typical 42″-43″ fabric. 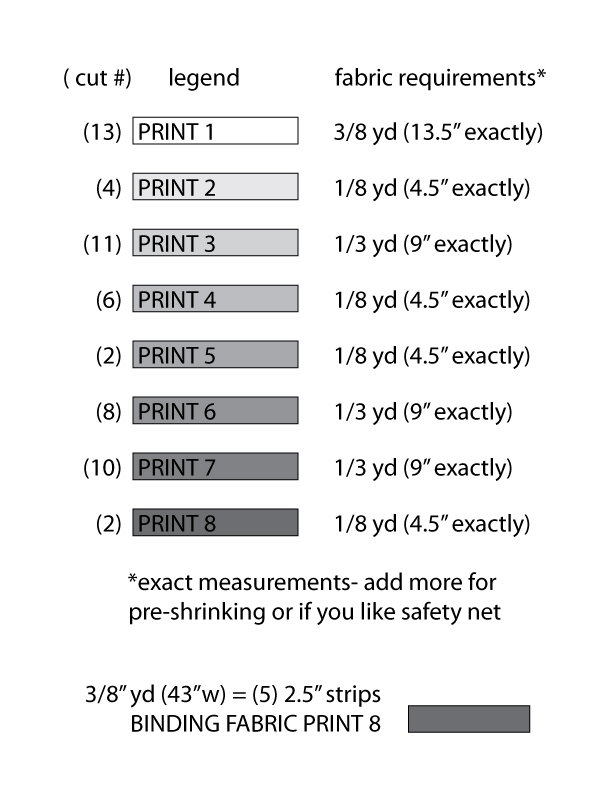 Here’s what you’ll need to cut and how much fabric you’ll need. 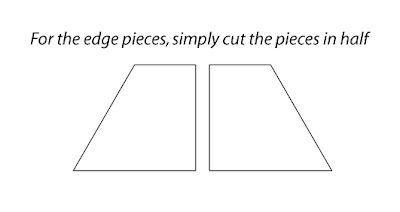 To cut the smaller side pieces, simply cut in half as indicated below. The legend above allows for these “halves”, so no need to make more than specified. 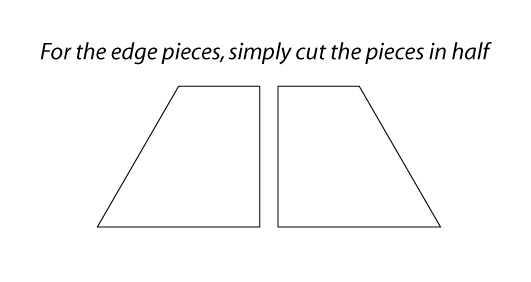 After cutting all the pieces, lay them out as indicated below. 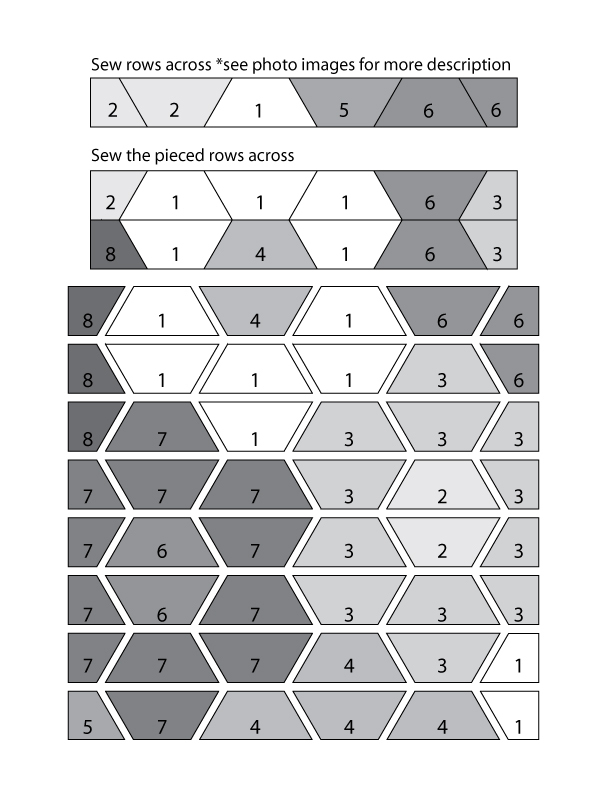 You will stitch across in rows. 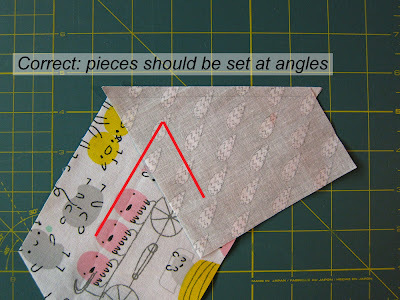 Please note all the images below to give you tips on how to do this piecing. If you don’t allow for the offset corners, your half-hexies will not line up. Also pay attention to the direction of the pieces as you pin them for piecing… it’s easy to get confused! After stitching a row, press seams to the side that’s darker. After stitching all the rows across and pressing seams, stitch row 1 to row 2 and then add row 3, etc, until you’ve worked down to the bottom. 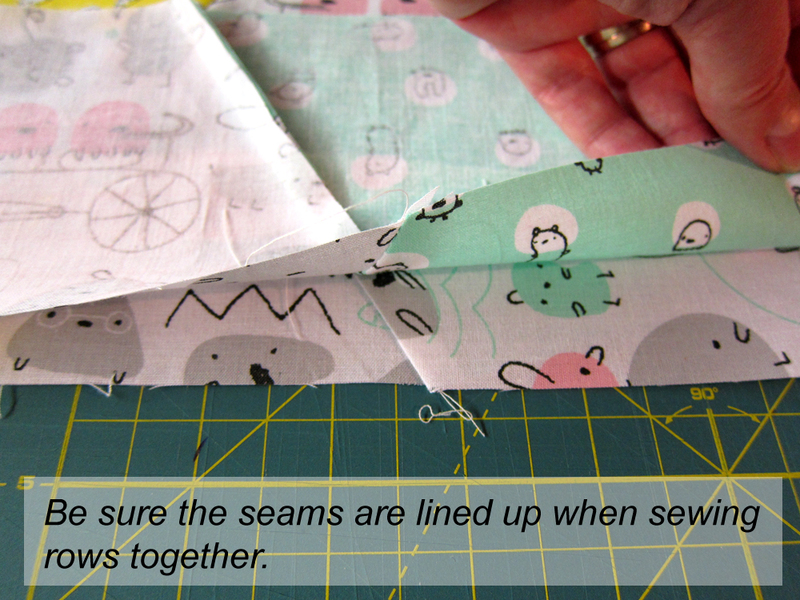 Be sure to match seams. 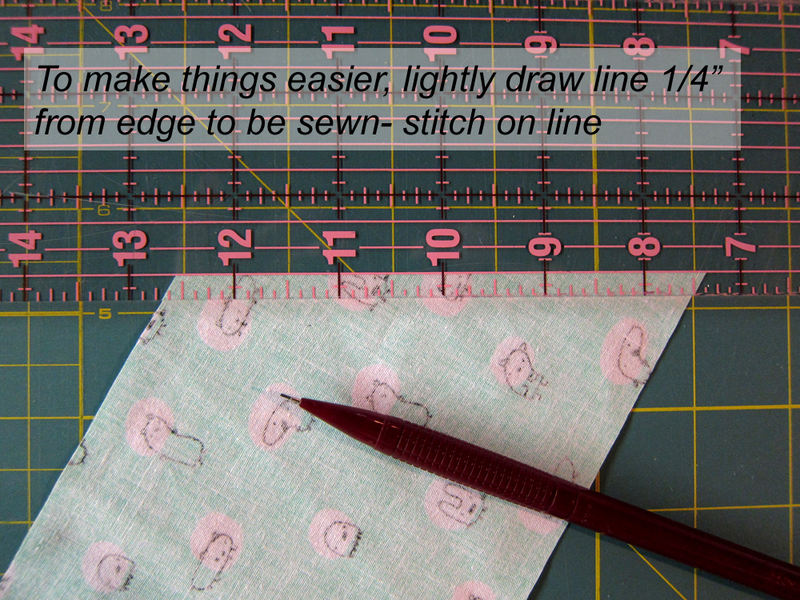 After a good pressing, sandwich your quilt topper, batting and backing fabric. Pin well. 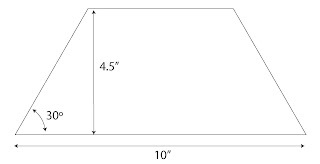 Stitch as shown in diagram below. This will create perfect triangles that compliment the quilt’s pattern. However, you can go nuts and do anything you like! Bind your quilt. As noted above, I used 2.5″ strips for a wider binding.